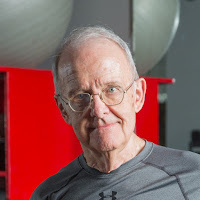 Fitness after fifty was never something that occurred to veteran financier James P. Owen, during his hectic life in corporate America. But when he turned seventy, the former Wall Street rainmaker and author of the best-selling book, Cowboy Ethics, had an epiphany. He discovered he could move. Jim founded the Center for Cowboy Ethics and Leadership to spread the message that “we can all be heroes in our own lives,” but it was not until relatively late in life that he says he discovered his true purpose.